Is There A Point to Disaster Anniversaries? In 2011, there were fourteen natural calamities that each destroyed over a billion dollars’ worth of property in the United States alone. In 2012, Hurricane Sandy ravaged the East Coast and major earthquakes struck in Italy, the Philippines, Iran, and Afghanistan. In the first half of 2013, the awful drumbeat continued—a monster supertornado struck Moore, Oklahoma; a powerful earthquake shook Sichuan, China; a cyclone ravaged Queensland, Australia; massive floods inundated Jakarta, Indonesia; and the largest wildfire ever engulfed a large part of Colorado. Despite these events, we still behave as if natural disasters are outliers. Why else would we continue to build new communities near active volcanoes, on tectonically active faults, on flood plains, and in areas routinely lashed by vicious storms? A famous historian once observed that "civilization exists by geologic consent, subject to change without notice." 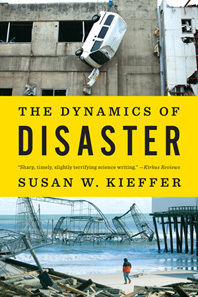 In the pages of this unique book, leading geologist Susan W. Kieffer provides a primer on most types of natural disasters: earthquakes, tsunamis, volcanoes, landslides, hurricanes, cyclones, and tornadoes. By taking us behind the scenes of the underlying geology that causes them, she shows why natural disasters are more common than we realize, and that their impact on us will increase as our growing population crowds us into ever more vulnerable areas. Kieffer describes how natural disasters result from "changes in state" in a geologic system, much as when water turns to steam. By understanding what causes these changes of state, we can begin to understand the dynamics of natural disasters. 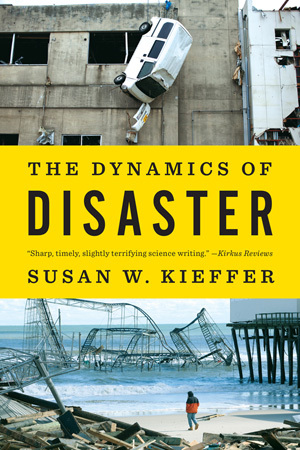 In the book’s concluding chapter, Kieffer outlines how we might better prepare for, and in some cases prevent, future disasters. She also calls for the creation of an organization, something akin to the Centers for Disease Control and Prevention but focused on pending natural disasters.